Join the Edinburgh Archaeological Outreach Project for a free day of archaeology open to anyone of all ages! 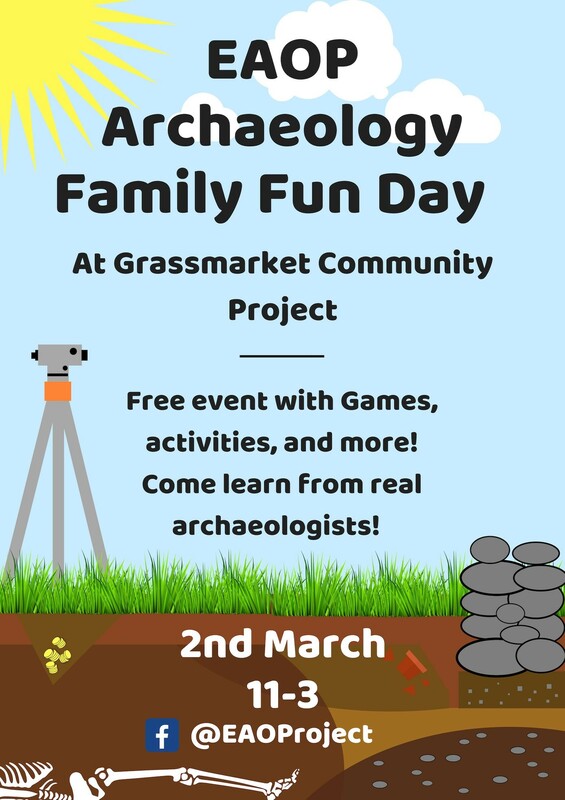 Following on from the success of last year’s event, we’re excited to provide a day of games and activities like shield making, animal bones, and face painting! 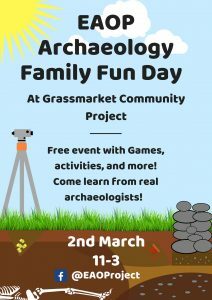 Representatives from Archaeology Scotland, the Young Archaeologist’s Club, and the Crannog Center will also be there throughout the day! There will be a cafe at the venue where you can grab something to eat or drink. This entry was posted	on Monday, February 11th, 2019 at 6:18 pm	and is filed under Uncategorized. You can follow any responses to this entry through the RSS 2.0 feed. Both comments and pings are currently closed.